The perfect excursion for those wishing to sample the city's main attractions, including the historic and cultural heritage. We will leave the port by coach and begin our scenic tour of the city of Pettah Bazar. As is often the case in developing countries, the appearance of Colombo is destined to change rapidly, with older buildings making way for skyscrapers and decidedly more modern constructions. The renewed spirit of the capital therefore alternates with older areas where tradition still dominates. We will stop in the Cinnamon Gardens district to take photos, before proceeding towards the former parliament building, in the Fort district. The tour will continue to St. Lucia's Cathedral and we will also visit the Gangaramaya Buddhist Temple. Subsequently, we will pass by Viharamahadevi Park. 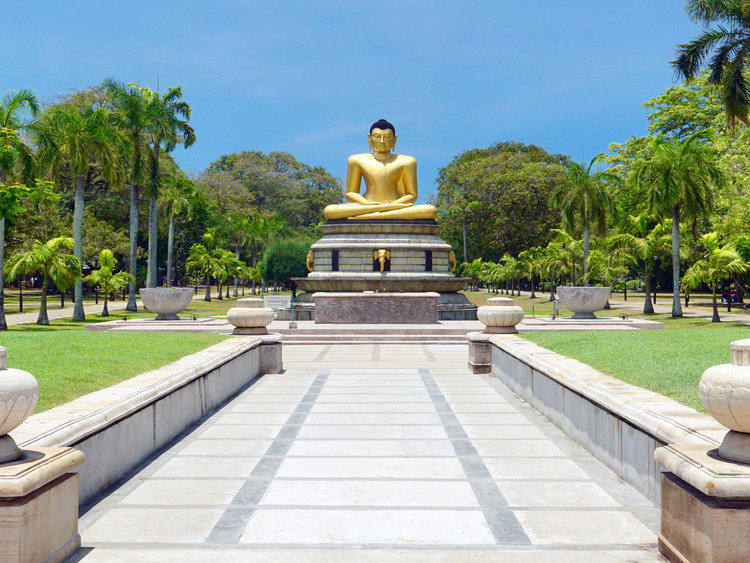 At this stage, we will visit the famous National Museum of Colombo, to observe close-up, the remains of the English colonial period, as well as paintings, sculptures, masks and clothing testifying to the customs of local tribes. Before returning to the ship, we will stop for a little shopping and visit Kelanya Temple . The National Museum of Colombo may be closed without prior notice to permit restoration works ordered by the Archaeology Department of Sri Lanka. Dress code that is appropriate for the places of worship to be visited is recommended: shoulder and knees must be covered.